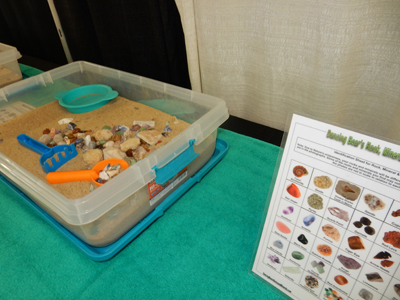 Students get to dig for hidden gems and discover what they find using our charts. Discovering things like shark teeth, fool’s gold, and geodes are among the favorites. Try your hand at building at this station. 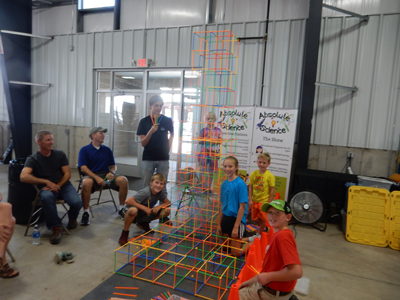 Kids of all ages have been able to show us what is in their imagination showing off their engineering skills. 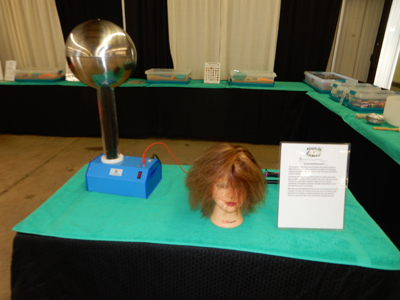 Van De Graaff Generator Are you ready for a shock? See what this amazing machine can do. 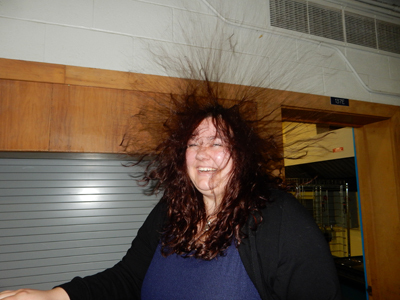 It can make your hair stand on end, make pie pans become flying saucers, or even show you what lighting looks like! 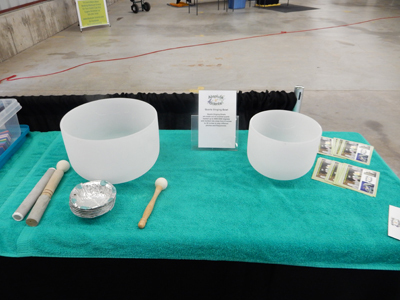 Can you create sound waves with a bowl? With this quart bowls you can! Just rub the mallets on the side and listen. When your finished listening to their sound, touch the side and feel the sound waves. These bowls are so amazing you just have to hear them yourself. You can stack them, build them, repel them, or even test how strong they are. These magnets have so many possibilities! No matter your age one can find a smile at this station! New this year, we are adding gravity balls and more. 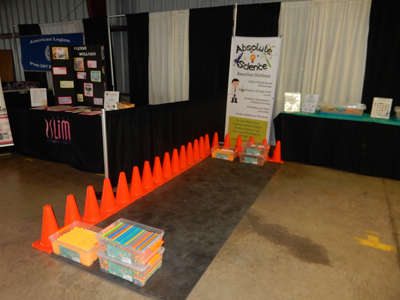 Come try our new disk that shows students both potential and kinetic energy. Like a top, this disk is held upright by the angular momentum it has. It will appear to defy gravity as it continues to spin in front of your eyes. The disk stays in place because there is a balance in the gravitational pull and the force applied by the mirror base. Students will love seeing and hearing the different energy that is giving off through mation, light, and sound! 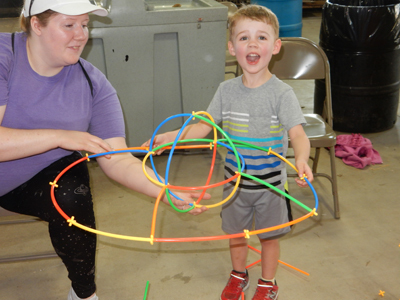 Watch our structure change changes shapes with a slight twist of the wrist. Watch what the energy from your body can cause it do. Play with the ultimate fidget gadget. It will keep your brain questioning how it does it, while making your want to play with it more. What can seem to be defy the laws of physics and gravity? The swinging sticks can! With a small push or pull, these sticks can intrigue and fascinate you. It uses a magnetic force to pull this amazing event off. Don’t take our word for it, try this one out for yourself!